You saw my online dating profile and decided to message me. You must have thought I was cute or liked something I wrote in my bio. Everything started out just fine; your standard introductory small talk. Then you asked how dating has been going for me. I answer and ask the same of you. You ask what I'm looking for. I say that I'm dating and hoping to find someone to have a relationship with. Then you say, "You must not have loved your husband very much." "Why would you say that to me? ", I ask, incredulous. "A man loves you and dies and you just move on like it didn't matter", is the reply. Oh but there's so much more I want to say to you! How DARE you? Where do you get the nerve to question my love for my husband? You don't know me. You didn't know him. You know NOTHING about our relationship. You don't know how we met, when we shared our first kiss or when we exchanged "I love yous". You don't know how he proposed to me or how much fun we had on our honeymoon. You don't know what we overcame before we even got married, nor everything we went through during our marriage. You don't know when or why we decided to have our children. You don't know how many nights I spent sleeping in a hospital chair because I just couldn't leave him. You don't know how torn I was between him and our children Every. Single. Time. he was hospitalized. You don't know how hard his life was for him. You don't know how much I loved him through it all. I loved my husband unconditionally and completely. I utterly lived up to my marriage vows. 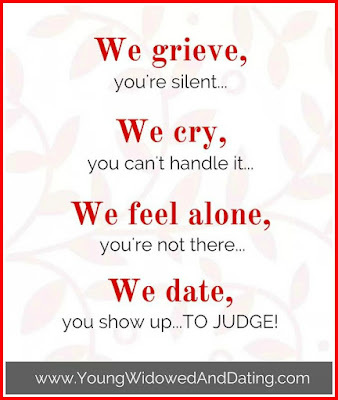 Furthermore, unless you have actually lost a spouse yourself, you have no clue what it's like. 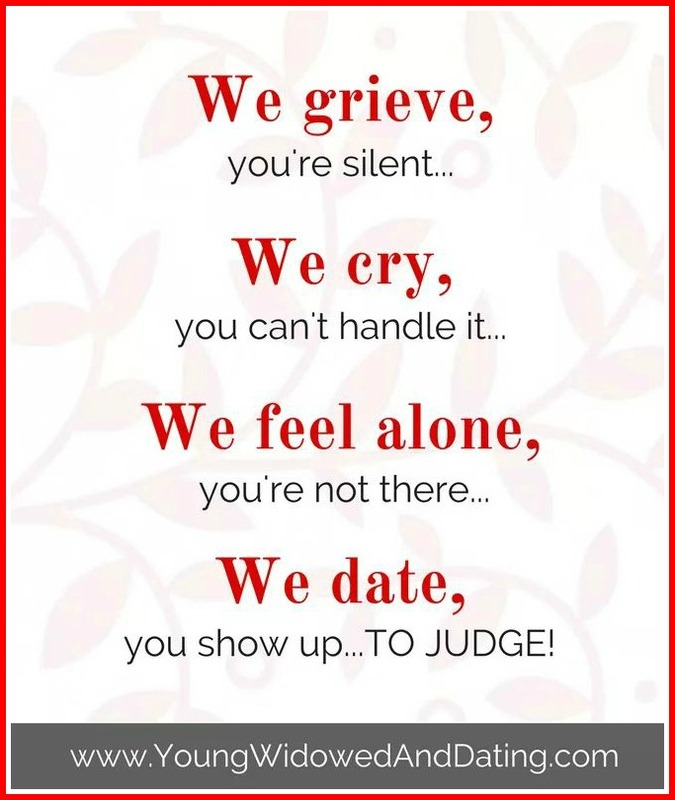 And even if you have been widowed, every one of us grieves and processes differently. You still can't judge. And actually, you're so very wrong in your thinking. The fact that I want to find love again is a TESTAMENT to the love my husband and I shared. It means I had something special once and I have faith that I could have it again. It means that someone once loved me so well, that I miss it and want to love and be loved again. We widows don't choose to lose our spouses. We do choose to go on and live life. That is a positive and badass thing. It is never something that should be judged negatively. Have you walked a mile in my moccasins? I don't think so. My First Published Knitting Pattern! U.S. Copyright law states that original content that is published is automatically copyrighted. This applies to "literary, dramatic, musical, and artistic works, such as poetry, novels, movies, songs, computer software, and architecture" published online. If you would like to quote me or use one of my images, ask and give me credit. Thank you!